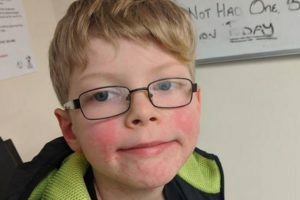 Helen Spilsbury from Manchester issued a warning to parents over measles after her 8 year old son contracted the contagious illness, despite being fully immunised against it. She said her son Jack had both MMR jabs when he was younger, believing that should had given him protection against measles, mumps and rubella. Manchester Evening News reports: She first noticed a rash on Jack on Sunday evening and thought it was a heat rash. But by Monday he was covered with it and itching all over his body. 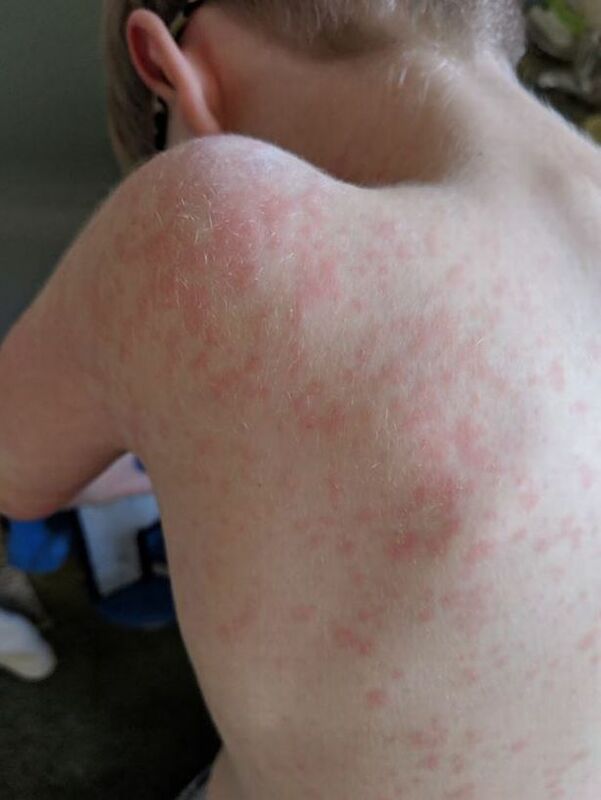 After a visit to the chemist, where they initially thought it might be hand, food and mouth disease, an appointment at West End Medical Centre in Ashton on Tuesday confirmed it was indeed measles. Helen, 33, said she was shocked because Jack has had both MMR jabs when he was younger – giving protection against measles, mumps and rubella. She said: “Even at the doctor’s the nurse first thought it could be either hand, foot and mouth or slap cheek as they’d seen recent cases. Helen, who works at Aldi in Clayton but is off sick with sciatica, called her son’s school, Holden Clough Primary in Ashton, to warn them about the case and has told anyone that Jack had been in recent contact with. They’ve been told to avoid contact with people for seven to 10 days. She said: “Jack seems OK really apart from his rash. He’s got a bit of the sniffles and a cough and a little lump on the back of his ears, which are really hot, but apparently tha’s all part of the illness. IMO it’s crucial to identify the strain of measles virus Jack is infected with. 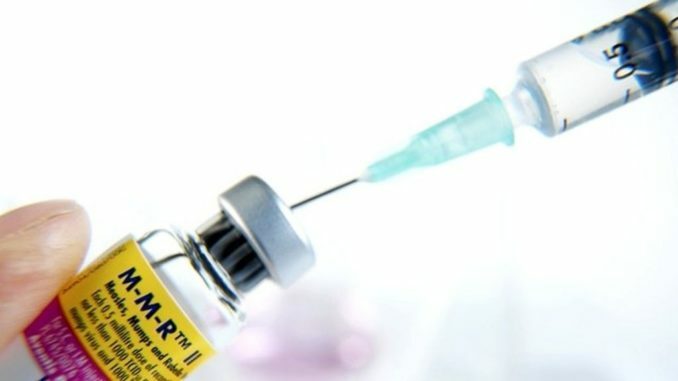 Standard procedure is blaming measles outbreaks on wild-type virus, although in one outbreak in Canada in which a father was infected by changing his immunized 2 year-old’s diaper, the strain was identified as the one contained in the vaccine, not the wild type; measles virus is shed by immunized people for up to a month, and thus introduces a new strain of virus into the population. The good news is that Jack will have real lifelong cellular immunity to the strain he’s infected with; not possible through immunization.